When Birdy was born we (half-jokingly) announced to our friends that if they want to come over and see the little one they better bring food. 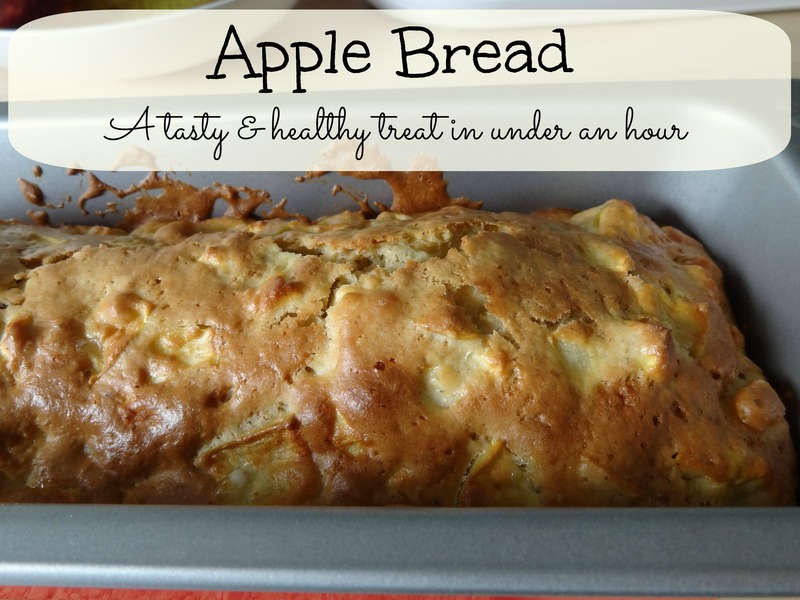 This awesome apple bread was one of the treats we received. It was so good that I immediately asked for the recipe and have made it already three times, each time experimenting with the sweetness and the spices. The bread takes only 10 minutes to prepare and 40 minutes to bake. This means that you get a tasty, juicy, and pretty healthy snack in under an hour with ingredients that you are likely to already have at home! Mix together the flour, sugar, vanilla sugar, baking powder, and eggs. Remove the cores of the apples, cut them in small pieces (no need to remove the peel unless the skin is very thick) and mix in with the other ingredients. Add a dash of cinnamon and a dash of nutmeg. Put in a medium sized bread form and bake at 170 C / 350 F for approximately 40 minutes. Play around with the spices: more cinnamon, maybe a little ginger – whatever suits your taste! Replace part of the white sugar with brown sugar. I like doing it 50/50. Replace one egg with the juice of one lemon to achieve an even fresher, fruitier taste. Experiment with the flour – mix in some wholegrain flour or almond meal. Add some nuts to the recipe. I haven’t tried it yet but walnuts should fit perfectly. The original recipe (in German) which I have adapted.